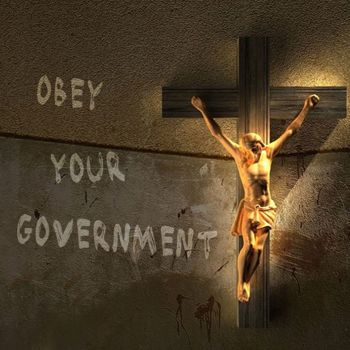 If you buy into the version of Christianity Lite peddled by evangelical leaders such as Franklin Graham, who recently advised Americans to do as the Bible says and “submit to your leaders and those in authority,” then staying alive in the American police state depends largely on your ability to comply, submit, obey orders, respect authority and generally do whatever a cop tells you to do. If, however, you’re one of those who prefers to model yourself after Jesus Christ himself—a radical nonconformist who challenged authority at every turn—rather than subscribe to the watered-down, corporatized, simplified, gentrified, sissified vision of a meek creature holding a lamb that most modern churches peddle, then you will understand better than most how relevant Jesus’ life and death are to those attempting to navigate the American police state. Indeed, it is fitting, at a time when the nation is grappling with moral questions about how best to execute death row prisoners (by electric chair, lethal injection or shooting squad), whether police should be held responsible for shooting unarmed citizens (who posed no threat and complied with every order), and to what extent we allow the government to dictate, monitor and control every aspect of our lives (using Stingray devices, license plate readers, and all manner of surveillance technology), that we remember that Jesus Christ—the religious figure worshipped by Christians for his death on the cross and subsequent resurrection—died at the hands of a police state. Secrecy, surveillance and rule by the elite. As the chasm between the wealthy and poor grew wider in the Roman Empire, the ruling class and the wealthy class became synonymous, while the lower classes, increasingly deprived of their political freedoms, grew disinterested in the government and easily distracted by “bread and circuses.” Much like America today, with its lack of government transparency, overt domestic surveillance, and rule by the rich, the inner workings of the Roman Empire were shrouded in secrecy, while its leaders were constantly on the watch for any potential threats to its power. The resulting state-wide surveillance was primarily carried out by the military, which acted as investigators, enforcers, torturers, policemen, executioners and jailers. Today that role is fulfilled by increasingly militarized police forces across the country. As Professor Taylor notes, “The power of Jesus is one that enables us to critique the nation and the empire. Unfortunately, that gospel is being sacrificed and squandered by Christians who have cozied up to power and wealth.” Ultimately, this is the contradiction that must be resolved if the radical Jesus—the one who stood up to the Roman Empire and was crucified as a warning to others not to challenge the powers-that-be—is to be an example for our modern age. Those living through this present age of SWAT team raids, police shootings of unarmed citizens, roadside strip searches, and invasive surveillance might feel as if these events are unprecedented. 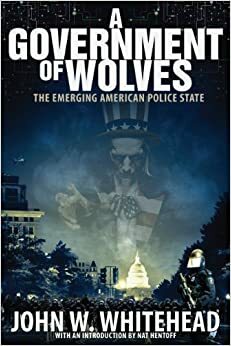 Yet while we in the United States may be experiencing a steady slide into a police state, we are neither the first nor the last nation to do so. Martial law. Eventually, Rome established a permanent military dictatorship that left the citizens at the mercy of an unreachable and oppressive totalitarian regime. In the absence of resources to establish civic police forces, the Romans relied increasingly on the military to intervene in all matters of conflict or upheaval in provinces, from small-scale scuffles to large-scale revolts. Not unlike police forces today, with their militarized weapons and “shoot first, ask questions later” mindset, the Roman soldier had “the exercise of lethal force at his fingertips” with the potential of wreaking havoc on normal citizens’ lives. Jesus—the revolutionary, the political dissident, and the nonviolent activist—lived and died in a police state.Any reflection on Jesus’ life and death within a police state must take into account several factors: Jesus spoke out strongly against such things as empires, controlling people, state violence and power politics. Jesus challenged the political and religious belief systems of his day. And worldly powers feared Jesus, not because he challenged them for control of thrones or government but because he undercut their claims of supremacy, and he dared to speak truth to power in a time when doing so could—and often did—cost a person his life. When Barack Obama ascended to the presidency in 2008, there was a sense, at least among those who voted for him, that the country might change for the better. Those who watched in awe as President Bush chipped away at our civil liberties over the course of his two terms as president thought that maybe this young, charismatic Senator from Illinois would reverse course and put an end to some of the Bush administration’s worst transgressions—the indefinite detention of suspected terrorists, the torture, the black site prisons, and the never-ending wars that have drained our resources, to name just a few. A few short years later, that fantasy has proven to be just that: a fantasy. Indeed, Barack Obama has not only carried on the Bush legacy, but has taken it to its logical conclusion. As president, Obama has gone beyond Guantanamo Bay, gone beyond spying on Americans’ emails and phone calls, and gone beyond bombing countries without Congressional authorization. He now claims, as revealed in a leaked Department of Justice memo, the right to murder any American citizen the world over, so long as he has a feeling that they might, at some point in the future, pose a threat to the United States. Let that sink in. The President of the United States of America believes he has the absolute right to kill you based upon secret “evidence” that you might be a terrorist. Not only does he think he can kill you, but he believes he has the right to do so in secret, without formally charging you of any crime and providing you with an opportunity to defend yourself in a court of law. To top it all off, the memo asserts that these decisions about whom to kill are not subject to any judicial review whatsoever. The President of the United States of America believes he has the absolute right to kill you based upon secret “evidence” that you might be a terrorist. Not only does he think he can kill you, but he believes he has the right to do so in secret, without formally charging you of any crime and providing you with an opportunity to defend yourself in a court of law. To top it all off, the memo asserts that these decisions about whom to kill are not subject to any judicial review whatsoever. This is what one would call Mafia-style justice, when one powerful overlord—in this case, the president—gets to decide whether you live or die based solely on his own peculiar understanding of right and wrong. 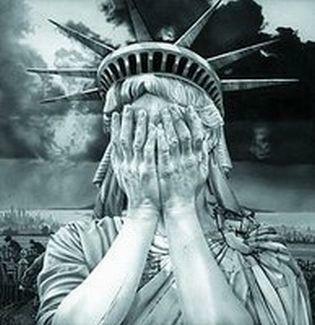 This is how far we have fallen in the twelve years since 9/11, through our negligence and our failure to hold our leaders in both political parties accountable to the principles enshrined in the Constitution. This is what one would call Mafia-style justice, when one powerful overlord—in this case, the president—gets to decide whether you live or die based solely on his own peculiar understanding of right and wrong. This is how far we have fallen in the twelve years since 9/11, through our negligence and our failure to hold our leaders in both political parties accountable to the principles enshrined in the Constitution. According to the leaked Department of Justice memo, there are certain “conditions” under which it is acceptable for the president to kill a U.S. citizen without the basic trappings of American justice, i.e., a lawyer and a fair hearing before a neutral judge. Second, capturing you has to be “infeasible.” Easy enough, since “infeasibility of capture” includes being unable to capture someone without putting American troops in harm’s way. Third, you must pose “an imminent threat of violent attack against the United States,” whether or not you can actually execute an attack on our soil. Before you breathe a sigh of relief that perhaps your neck is safe now, keep in mind that the imminence requirement “does not require the United States to have clear evidence that a specific attack on U.S. persons and interests will take place in the immediate future.” The Bush administration should get some credit here, since it was their creative parsing of the “imminent” threat posed by Saddam Hussein and his so-called weapons of mass destruction that inspired the Obama lawyers to play footloose with the laws on killing American citizens. In short, by simply asserting that an American citizen is an enemy of the United States, the Obama administration has given itself the authority to murder that individual. This pales in comparison to George W. Bush’s assertion that he could detain an American citizen indefinitely simply by labeling him an enemy combatant. Compounding this travesty, the Obama administration also insists that the power to target a U.S. citizen for murder applies to any “informed, high-level official of the U.S. government,” not just the president. Therefore, any bureaucrat or politician, if appointed to a high enough position, can target an American for execution by way of drone strikes. It’s been done before. Without proving that they were “senior operational leaders” of any terrorist organization, the Obama administration used drone strikes to assassinate Anwar al-Awlaki and his 16-year-old son, Abdulrahman, both American citizens. 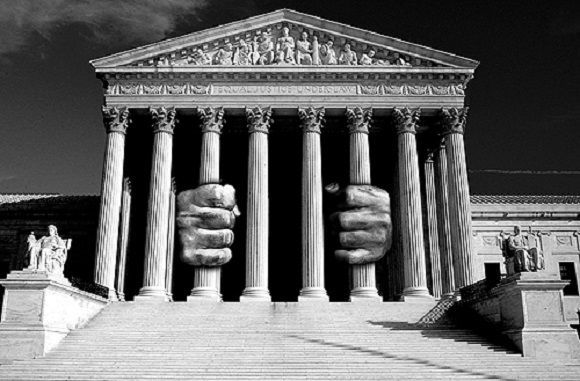 So now we find ourselves at this strange, surreal juncture where clear-cut definitions of right and wrong and the rule of law have been upended by legal parsing, government corruption, corporate greed, partisan games, and politicians with questionable morals and little-to-no loyalty to the American people. It’s a short skip and a jump from a scenario where the president authorizes drone strikes on American citizens abroad to one in which a high-level bureaucrat authorizes a drone strike on American citizens here in the United States. It’s only a matter of time. Obama has already opened the door to drones flying in American skies—an estimated 30,000 by 2015, and a $30 billion per year industry to boot. Yet no matter how much legislation we pass to protect ourselves from these aerial threats being used against us domestically, either to monitor our activities or force us into compliance, as long as the president is allowed to unilaterally determine who is a threat and who deserves to die by way of a drone strike, we are all in danger. This is surely the beginning of the end of the republic. Not only are we upending the rule of law, but killing people across the globe without accountability seriously undermines America’s long term relationships with other nations. The use of drones to kill American citizens demonstrates just how out of control the so-called “war on terror” has become. A war that by definition cannot be won has expanded to encompass the entire globe. This confirms the fears of those who have been watching as the American drone program has slowly expanded from targeting members of al-Qaeda and the Taliban in Afghanistan and Pakistan to include any person the president cares to see eliminated, not to mention the countless civilians killed along the way. For example, Salem Ahmed bin Ali Jaber, a Muslim cleric in Yemen gave a long sermon in August 2012 denouncing Al-Qaeda. A few days later, three members of Al-Qaeda showed up to his neighborhood, saying they wanted to talk with Jaber. Jaber agreed, bringing along his cousin Waleed Abdullah, a police officer, for protection. In the middle of the conversation, a hail of American missiles rained down upon the men, killing them all. Incidents such as these are the exact reason that America cannot seem to bring an end to its myriad military commitments abroad. By undermining our potential allies, we simply further endanger American lives. According to Naji al Zaydi, an opponent of Al-Qaeda and former governor of Marib province in Yemen, “some of these young guys getting killed have just been recruited and barely known what terrorism means.” In direct opposition to the stated goal of the “war on terror,” we are creating enemies abroad who will gladly look forward to the day when the United States falls in on itself, like the Roman Empire before it.